Welcome to Footsteps Counseling. 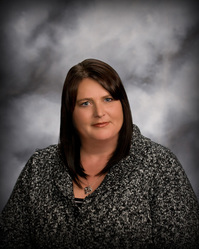 I am a Licensed Professional Counselor - Mental Health and QMHP in the State of South Dakota and a Nationally Certified Counselor through the NBCC. Counseling is not just a career for me, it is my passion in life and being a counselor allows me the privilege to work with clients who are struggling. Each day I get to give back to my clients by using my skills, education and knowledge by offering them the opportunity to be heard, gain insight and most importantly make effective changes towards their identified goals. I use several theoretical orientations including Cognitive Behavioral, Solution-Focused and Rational Emotive Behavioral therapy. My goal is to help you uncover your potential and strengths to reach your life goals. Whether you are stuck in the past, struggling with life's up & downs, or unsure about your future. We can work together to uncover those answers, so you can experience a more fulfilling, happier and meaningful life.